The service is mostly used by musicians, but SoundCloud actively encourages contributions from journalists, communities and campaigners. You can upload large files and make them available for online listening or for download. You can add audio from your smart phone, email or via a phone call. You can also embed a SoundCloud audio player in the pages of your blog or website. 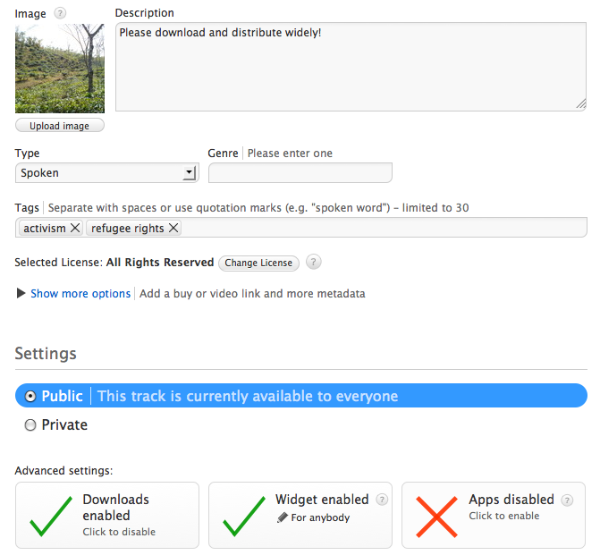 Users can leave comments at specific points on each audio track.